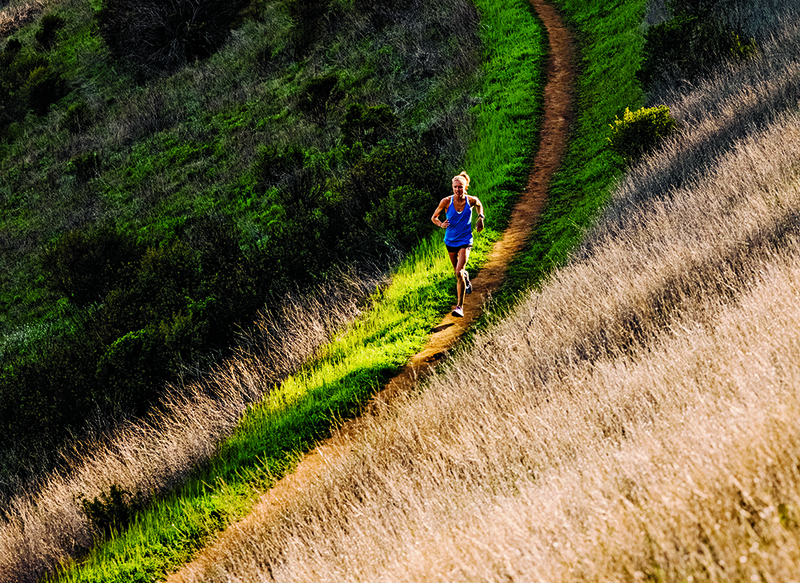 Coming back from catastrophic injury isn’t easy for any runner – but imagine being a multiple world champion, and arguably the world’s most famous trail runner? 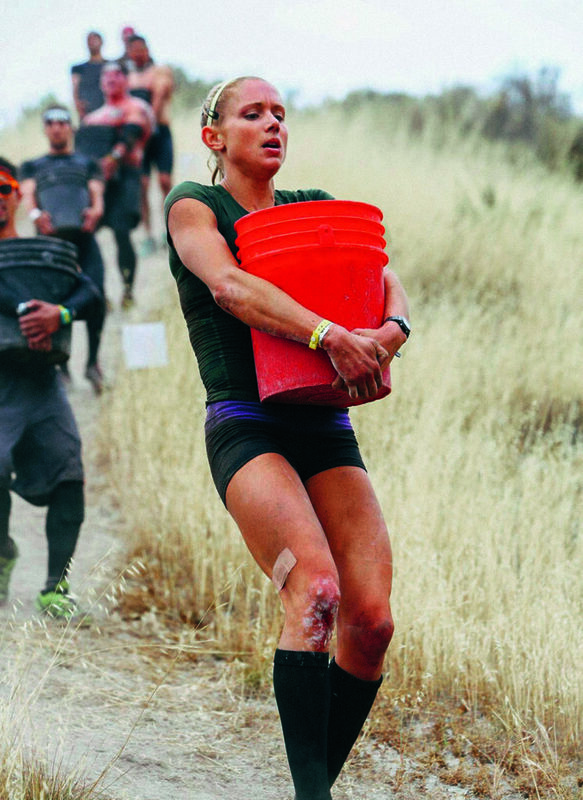 Amelia Boone had amassed four obstacle racing world championship titles and over 50 podiums in five years, and had just set her sights on ultrarunning. 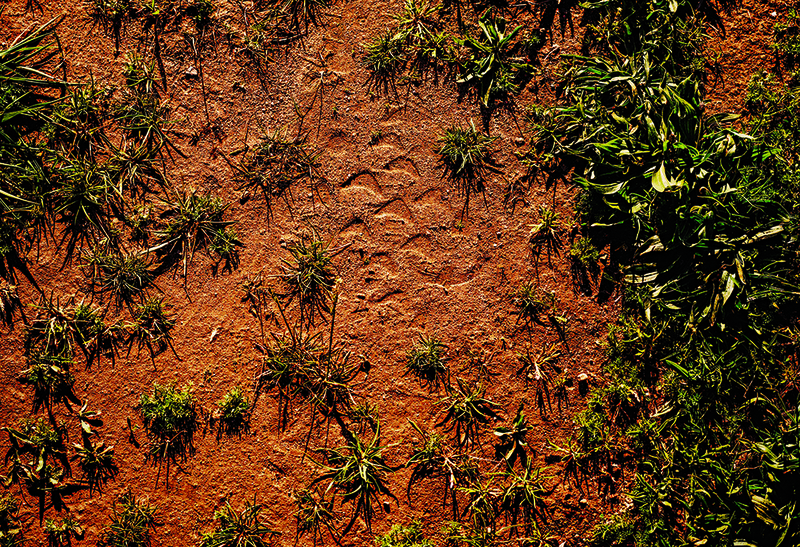 But then she faced down her toughest opponent… her own body! What she learned along the way is a lesson for all of us. I was in a weird space. From 2011 to 2016, I was the dominant force in obstacle racing: a four-time world champion, seemingly unbeatable. That sounds conceited – but I was winning, and a lot [see footnote A]. In my entire career I’d never missed a podium, and the focus was always What’s the next race that I can win? To an outsider, it must have looked like everything was perfectly in place; but internally, I was struggling. I was eager to branch out from obstacle racing, and hungry to find a new challenge. I found it in ultrarunning. In my second ultra, the 2016 Sean O’Brien 100K in Malibu, California, I secured a golden ticket to run Western States – the Holy Grail of ultramarathons [B]. I was riding the high. Then the floor dropped out. I didn’t grow up a runner, and I hadn’t really ever tracked mileage. I didn’t know how to go about structuring training, so I looked at what other ultrarunners were doing, and thought, That should work for me. I didn’t think I was running that much – frankly, I just didn’t understand the concept that you may need ‘rest’ every once in a while. I thought rest days were for weenies. On a long run in April 2016, as I hit some sharp descents, searing pains suddenly started radiating up my quad. I thought my leg was going to snap in half. I hobbled in, and prayed it was muscular. When I got out of bed the next morning, my leg buckled under me, sending me crashing to the floor. I’d run so much, so hard, I’d fractured my femur. As someone who constantly preaches “Pre-hab! Strengthening! Balance!” to then crack the strongest bone in her body, I got swept up in feelings of shame and embarrassment [C]. I was angry, defiant: I swore up and down I’d done everything right. But as the indignation passed, it gave way to an even worse feeling – guilt. I bought a 24-hour ticket to the merry-go-round of self-flagellation. You should have had some inclination, you should’ve known better, you have no one to blame but yourself. I felt sheepish explaining it to people, especially other athletes who might be judging (“Didn’t you feel it coming on?” “Who runs enough to break their femur?”). It made me think: Just wait. To prove to everyone that I wasn’t a statistic, that I wasn’t broken, I was going to come back quickly. So I cross-trained like a fiend, vowing to make a triumphant return by the end of the season. The day after I was diagnosed, I was in the pool swimming with a buoy between my legs for as long as my bored mind could take, staring at the line on the pool floor through tears in my goggles. I’d get on an Assault stationary bike and work my arms and one leg, and then I’d get on the SkiErg – it’s brutal [D] – and use it sitting down, sometimes for an hour-plus every day. I did pull-ups until failure, and push-ups on one leg. Somewhere along the way, I came up with the brilliant idea that crutches could be a form of exercise. At Western States, I crutched around for 13km. Thirteen kays! People were like, “You should go for the Guinness World Record for crutching a marathon!” I was secretly proud of not asking for help, of the blisters that formed on my hands. But I failed to appreciate the incredible toll this took on my body. I did all the things I wasn’t supposed to do. I clung to fitness in every way possible. What I didn’t realise was that through the intense cross-training, I was building really bad habits and imbalances. Three weeks after I got off crutches for the femoral stress fracture and started to return to running, I ended up with a sacral stress fracture – a crack in the bone at the base of the spine – on my left side, where I was doing all that biking, standing on one leg, and hopping on one leg crutching around. It was then that I knew I’d completely screwed up. A six-month sentence of no running suddenly doubled to a year. I tend to divide my athletic career into pre-femur break (or ‘my case of the femurs’, as I call it) and post-femur break. The night before every single race pre-femur break, I was a crying mess. What if I don’t get on the podium? Are my sponsors going to drop me? I felt so much external pressure to keep winning. You have to keep winning, Amelia. You have to keep winning. What happens when you don’t win anymore? I felt like I had to put on this persona: Amelia’s a badass. Amelia will power through. This was an image I lived in for years [F], and it never felt comfortable to me. Because inwardly, I knew I was actually the girl who would sob before races because she was afraid of letting everyone down, because everyone thinks she’s this crazy badass. I felt like a fraud: what you saw on the highlight reel of my social media wasn’t what was going on in my head. Racing, and the need to win, began to consume my life. I lost relationships, I alienated people, but most of all, I relied on that ‘hit’ of winning to give me some sense of validation and love. Running and racing was, and still is, a huge part of my identity, and I’m not going to apologise for that. But somewhere along the way, through the multi-day races and the years of heavy training, I mistakenly started to believe that I could make my body do anything as long as my mind was willing. And my mind was fixating on winning, so the body needed to cooperate. It had in the past. Looking back now, if I was honest with myself about the femur, I’d say: I went from running maybe 65km a week to doing 145- to 160km weeks, during the course of a month. I ignored signs. I failed to get a coach before it was too late. To admit that I was wrong meant that I was weak. To admit that it was my fault meant failure. I spent five months on crutches never really accepting the injury. After the sacral stress fracture diagnosis, I finally acknowledged this wasn’t going to be an easy fix. So I did. I stopped the aqua jogging, the cycling, everything, for a solid month. It was awful, but it forced me to confront the demons I’d been running from. And when I finally got the all-clear to run again, I vowed to do it right this time. Being sidelined turned out to be the easy part – I never expected the hardest part to be after I was cleared to run again. The mental aspect will eat you alive. Every day I was paralysed by the fear of re-injury, and had zero trust in my body. I spent most of 2017 simultaneously being grateful to be able to run and being scared out of my mind that a new, catastrophic injury was going to sideline me for another year. Somewhere along the line in my injury and recovery, I got it into my head that I was hopelessly broken – physically, mentally, emotionally. It’s an odd headspace to go from the girl known as the ‘Queen of Pain’, who pushes through all kinds of discomfort, to the girl who’s mentally paralysed by every ache and niggle. I’ve never been a big affirmations person, but I made a promise to myself to remember that I am strong. Pains will come and go, but I can’t live in fear of being sidelined for another year. Now, when something flares, I’ll repeat, I am not broken, and it’s amazing how well it works. In the rebuilding state as an athlete, you face a decision: when do you race again? It was a question that loomed over me, and I saw it two ways: I could wait to race until I felt ‘ready’. Or, I could accept my current limitations and toe the starting line, even if it meant feeling less than confident. At my core, I knew the only thing keeping me from racing was my ego, plus a few fears: one, that I would lose my perfect six-year podium streak; two, that people would talk about how I was ‘no longer a great athlete’; and three, that if I didn’t win races, I wouldn’t be loved. The first two happened [H]. The third didn’t. Racing through my fears as I rebuilt from injury, I learned something: there’s freedom in being humbled. Realising your expectations are only constructs in your own head. Learning that the world keeps spinning regardless of what a finish time says. And hell, freedom in owning every part of the process: the mistakes, the triumphs, the wins and the losses. And despite the fact that on paper I no longer have the same unblemished race résumé, I find myself more at peace. I’m a stronger runner, athlete, and racer – physically, mentally, and emotionally. And that’s mainly because I feel more confident from being open and vulnerable [I]. This hit its culmination when I ran the Barkley Marathons on the last weekend in March this year. I’d never gone into a race that has a 99 per cent failure rate. It requires every part of you to be engaged, to deal with the no-map course, the hills and the fog, the constant navigation [J]. I spent weeks fighting through waves of self-doubt, which was simultaneously petrifying and invigorating. As I lined up at the yellow gate on that starting line, I realised I’d already pocketed one victory – I had overcome the self-doubt that would have made it so easy to never try in the first place. By giving myself permission to try, I could not fail. In the end, there were no finishers of the 2018 Barkley Marathons. I completed two 32km loops, but was time-capped on the second. But while the course may have defeated us all on paper, it didn’t feel that way. I take more pride in that DNF than in any race I’ve won. As illogical as it sounds, Barkley left me feeling more confident in myself than ever. For the first time since injury, I felt strong. I felt competent. I trusted my body, and I revelled in the miserable suffering [K]. I finally felt alive again. I’m not afraid to fail anymore. I spent years winning race after race, and wondering why I still wasn’t happy. Why the more I won, the less fulfilled I felt. I kept waiting for the time when the winning would finally fill me up, without realising that winning was never going to be enough. No number of wins on earth would make me happy. I was missing the point all along – to embrace the things that truly brought me joy: the pursuit, and the sharing of that pursuit with others. Now I know how important it is to keep that gratitude at the front. Whenever I’m having a rough day of training, feeling overwhelmed, or some little niggle pops up, I think Amelia, you get to do this. Before the injury, it was I have to do this. It centres me every time. I wouldn’t wish injury on anyone, and I would never want to go back through that process again. But in a weird way, I think it was probably the best thing that ever happened to me. I don’t know what’s next. But I know that right now, today, I feel fantastic. I have never been in a better place in my relationship with running. I always wanted to slap everyone who told me in the first days after my injury, “You’ll come back stronger.” I thought it was an awful thing to say. I still do – but at least now I know it’s true. 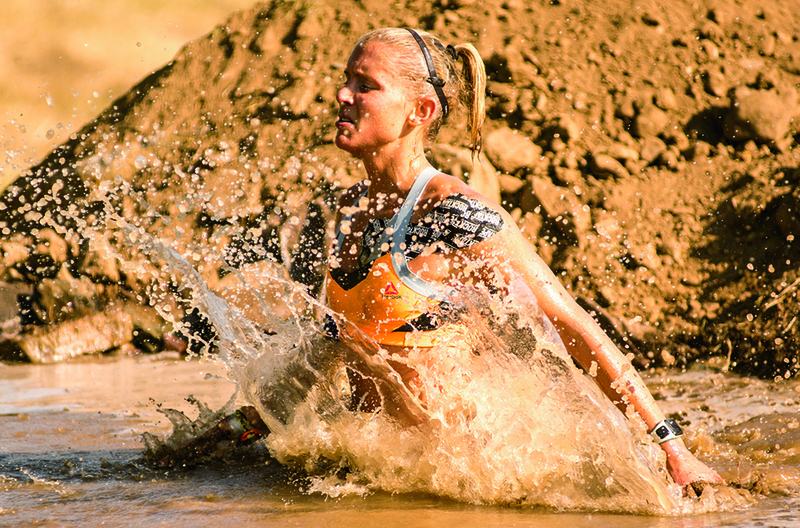 Boone won the Spartan Race World Championships in 2013, and the World’s Toughest Mudder – a 24-hour non-stop obstacle-course race – in 2012, 2014, and 2015. The world’s oldest 100-mile (160km) trail race is also one of its toughest: runners must climb more than 5 500m, descend nearly 7 000m, and ford the icy Middle Fork of the American River. benefit to you health-wise, says Metzl. Roche is a two-time national champion and three-time member of Team USA. He coaches elite athletes such as UTMB CCC winner Clare Gallagher, Hardrock 100 winner Jason Schlarb, and Western States 100 winner Cat Bradley.